Join us and achieve excellence for every child, every day, every opportunity. Whether you’re a new graduate, experienced teacher or passionate professional, we invite you to join one of our 32 schools and work with talented teachers. Join our team and bring your excellence. Together, we can serve a diverse student body by helping every child realize his or her potential. Have the Passion? Join Us. Teachers at Washington Elementary School District are more than just great educators. We have a passion for serving children and impacting our community at large. Get ready to join one big happy family. You'll experience a sense of camaraderie because we foster strong connections within each school and encourage collaboration across the District. You’ll build relationships through professional development time on Wednesdays and by sharing ideas with teachers from other schools. Plus, you’ll speak with administrators and the District Office personnel, so you can share suggestions and make a difference for your colleagues and children. Our BEGIN program is a three-year teacher induction program, in which new teachers across the District meet to share best practices and collaborate about instruction. Our year-long Aspire Program can help you move quickly into leadership roles and career advancement—by exploring departmental and school based competencies. You can choose from many free professional development classes at no cost to you. Most of our classes can also count for hours as recertification. Our program coaches work as mentors to all of our teachers—by helping them reflect on instruction and find ways to improve what they’re doing in the classroom. We also invest in your education by inviting experts to speak at our schools; you can learn new best practices and implement them in your classroom. 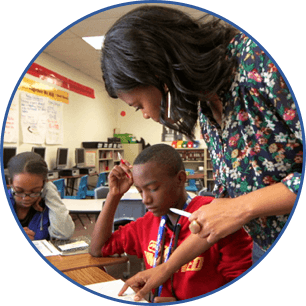 Our NAT program is for first and second year administrators and focuses on transformational and instructional leadership—through coaching, mentoring, and problem solving. Ironwood - Temporary Summer Kinder Jumpstart InstructorIronwood Elementary School (K-6)14850 N. 39th Ave.
Ironwood -Temporary Summer Kinder Jumpstart Instructional AssistantIronwood Elementary School (K-6)14850 N. 39th Ave.